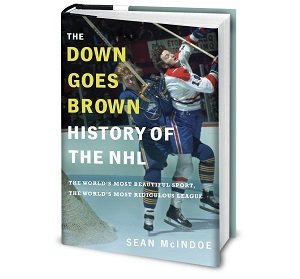 Down Goes Brown: Grantland weekly grab bag: Was it ever OK to use that breakaway move in NHL 94? "Apparently, the functional microphone store makes you show a decent television contract as ID." "In which we select one page on capgeek.com and stare at it while a single tear rolls down our cheeks." Rick DiPietro will be out 4-6 weeks after the tear injured his right eye. Maybe Don Cherry gave his chair to Clint Eastwood so he'd have something to talk to. it was never acceptable to use that move in sega 94. two minutes in the penalty box where you go and feel shame. What's a Sega? Is it related to a Seg-way? Cherry needs that chair for the early telecast to hide the giant woody he gets everytime he talks about the f'ing Leafs, which is during every early episode of Coaches Corner, as the CBC has mandated that we need to watch the Laffs and their epic struggle to 13th place EVER. F'ING. SATURDAY. BTW, what's up with no column on Saturday? Going full Markov and shutting it down after the first week of the season? Unfortunately the National Post columns have been scaled back to just one a week this year. The regular Tuesday piece will still run, but Saturday is off at least for now.